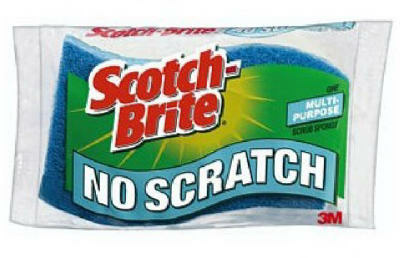 Scotch-Brite Soft Scour Scrub Sponge. Tough as steel wool but soft enough for China. Dimensions: 4.5" x 2.9" x 0.8"